Enjoy yourself this Labor Day weekend at the Sonoma Wine Country Weekend, Sonoma County's leading fundraising event and host to one of the top three charitable wine auctions. During the weekend, Sonoma County throws open the doors to America's leading wine and food destination, providing an unforgettable, insider experience for all who attend. 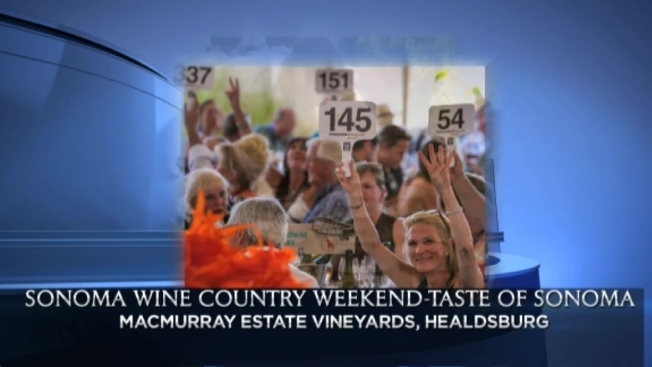 Sonoma Wine Country Weekend brings together the wine industry and guests with the shared goal of raising funds to support youth and children for future success, safeguarding our environment and improving the health and welfare of our local communities. In 2014, over $3 million was raised for local charities and to-date, over $16 million has been invested in Sonoma County's future through more than 125 local organizations. How: To learn more and for tickets, click here.